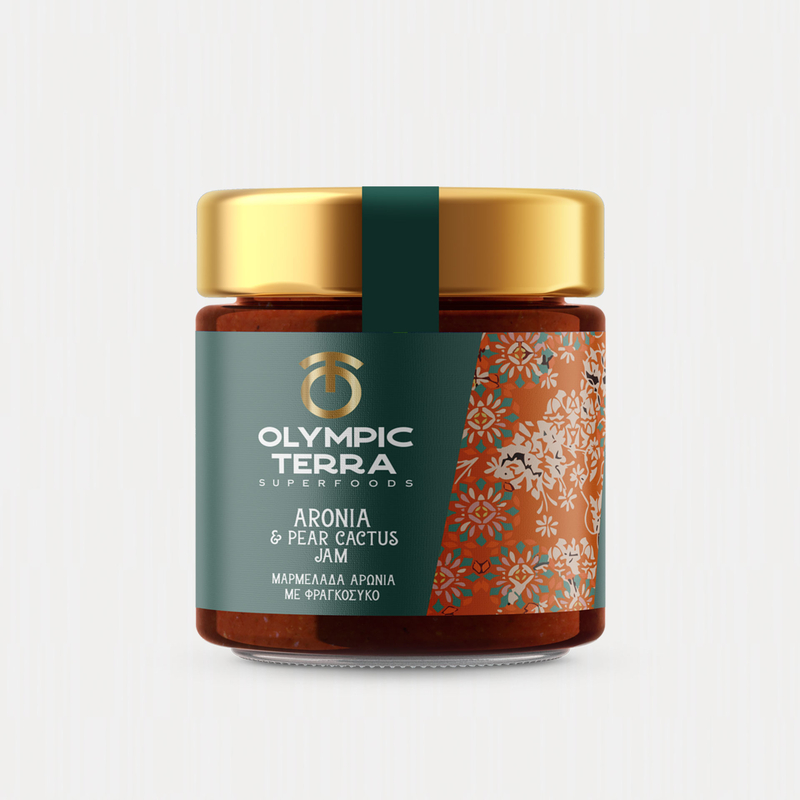 A surprise superfood jar with the flavors and tastes from Aronia and Pear Pactus leaving an indelible sense on the palate. The pear cactus, a unique plant of Mediterranean Region, contains hardly any fats, it is especially rich in proteins enhancing the body against its daily strain. It is an important source of fiber, Vitamin C, magnesium, calcium and potassium. It contains 17 aminoacids, 8 of which are absolutely necessary for the body, found and taken only from foods.